As much as you love your Porsche Cayenne, the time may eventually come where you’ll look to upgrade and pass your Cayenne to a Gretna, LA, buyer. This process can cause stress and anxiety for anyone, even people who have experience selling cars. You can smooth things out and give yourself a better chance of finding the right buyer when you follow a few basic guidelines. You don’t need to have professional-grade pictures of your car, but several decent shots will go a long way toward finding a good buyer Gretna, LA. Don’t overlook this step, because many shoppers will see other posts with plenty of pictures. If you don’t include photos, people will move past yours. Make sure you take photos of the exterior and interior, including the engine, trunk, and tires. Don’t simply guess how much your vehicle is worth. You need an accurate figure so you can attract the right buyers to your Porsche Cayenne. Visit a reputable site such as Kelley Blue Book or Auto Trader. Here, you can plug in information such as the make, model, and condition of the vehicle. You’ll then have a value range at which you can list the car online. Keep in mind that shoppers will conduct their research to see how much a Cayenne is worth. No one in Gretna, LA, wants to ride in a messy car, and certainly no one is crazy about buying one in this state. Before you even list the vehicle, take it through a car wash. Vacuum it thoroughly, and make it look as close to new as possible. Leave your Porsche looking spotless. If you claim your Porsche Cayenne is in excellent condition and that you have done a lot to care for it, get ready to back up these assertions. Collect maintenance records and repair records to demonstrate what services a professional has performed. It’s best to keep these records for two years. If you want to get the most out of your vehicle and appeal to a large crowd in Gretna, LA, make the commitment to take care of a few repairs to your Cayenne. Get new tires if necessary, and check the battery, fix leaks, and repair exterior damage. 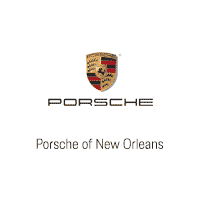 Once you sell your Porsche Cayenne to a buyer in Gretna, LA, you can start looking for a replacement at Ray Brandt Porsche.